WHY DO I LOVE BEING A MOM? 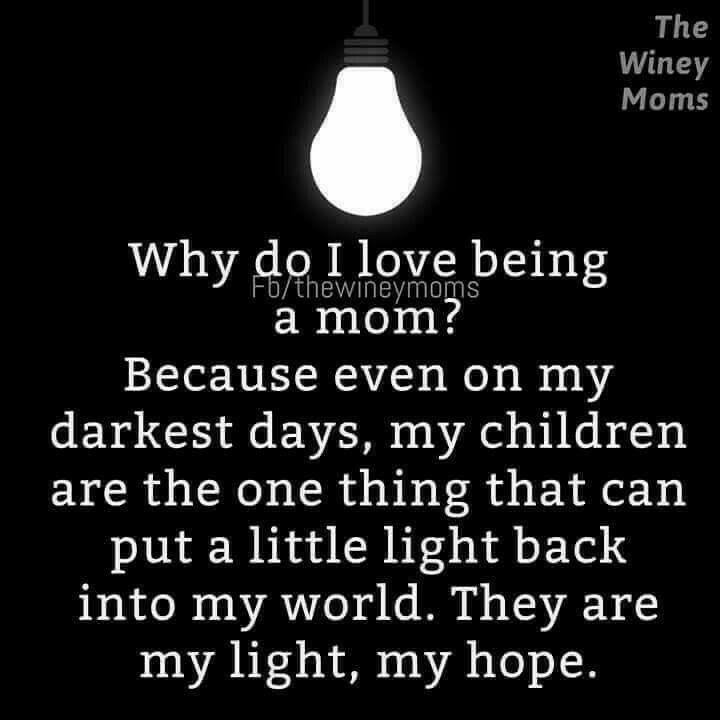 BECAUSE EVEN ON MY DARKEST DAYS, - ProudMummy.com the Web's Community for Mums. WHY DO I LOVE BEING A MOM? BECAUSE EVEN ON MY DARKEST DAYS, MY CHILDREN ARE THE ONE THING THAT CAN PUT A LITTLE LIGHT BACK INTO MY WORLD. THEY ARE MY LIGHT, MY HOPE. So true, don't see my daughter very often she's a busy working mum so when we are together it's special.